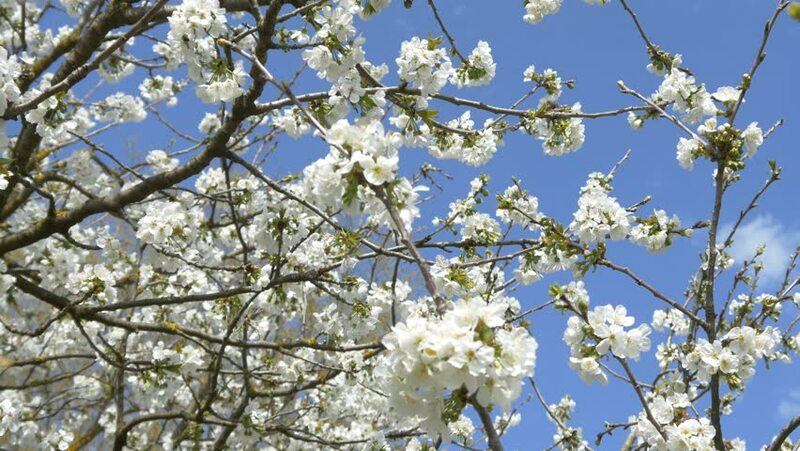 hd00:21Branches of white cherry tree in blossom smoothly swaying on the wind against the clear blue sky. Bees flying around and trying to gather necter from bloomed buds. It's early spring.